A quick note from us! We're currently traveling around gorgeous NZ (in fact, today we're driving up NZ's east coast on our way to Coromandel!) and whilst we're wishing we were back in our kitchen making these waffles, we're enjoying every second! Be sure to follow us on Facebook and Instagram to catch up on our adventures! I had a waffle iron years ago, however, I ended up throwing it out after having my waffles stick way too many times or having the batter explode out of the machine every time I decided to give it another go. Luckily for me, my waffle stick theories were correct - and in the five days we had between Christmas and heading off to NZ, I found myself making (and devouring) batch after batch of delicious waffles! 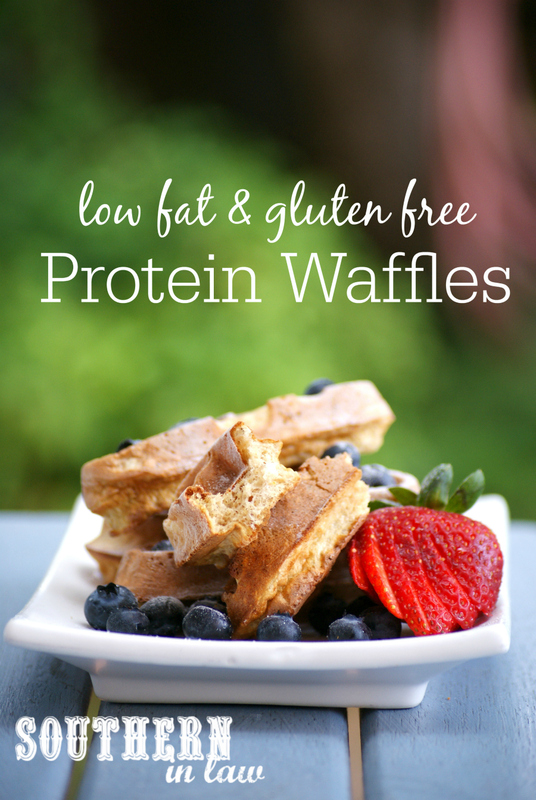 As the protein queen, naturally, one of those batches had to be a batch of perfect protein waffles. After a few tests and tweaks, I came up with the perfect recipe that both Jesse and I loved! They're crunchy on the outside but soft and delicious in the middle. They're perfect for dipping or drizzling with maple syrup - or even just sprinkling with icing sugar. Best of all? The waffle sticks make the perfect blueberry eating vessel as you can pop one in every hole! 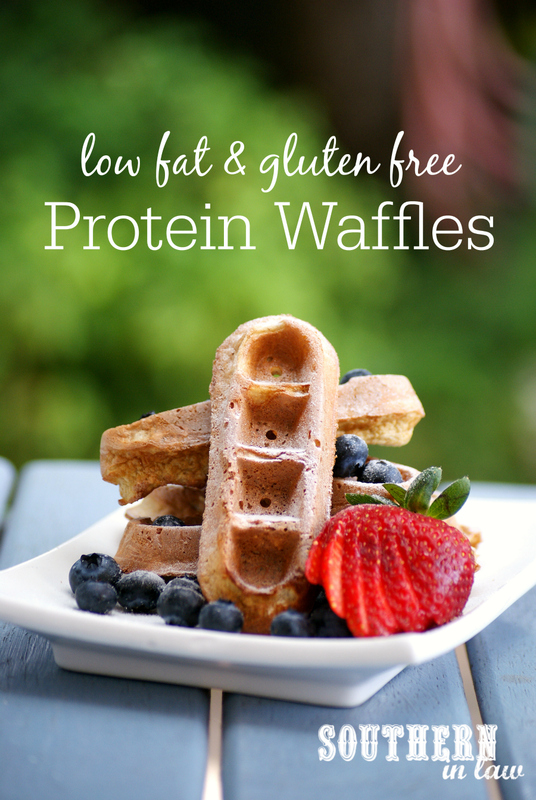 Lightly grease your waffle iron with coconut oil/oil/butter and heat up ready to cook your waffles. Whilst your waffle iron is heating up, mix together your waffle batter. Once your waffle iron is heated up, spoon on your mixture, using as much as your waffle iron directs (for me, I used a little less than 1 tbsp waffle mix per stick - filling each well almost completely full). Cook your waffles for 4-6 minutes, or until cooked through (cooking time will vary according to the heat of your waffle iron - check it at 4 minutes the first time and determine if you need more/less time on the next batch). Repeat until all of your batter is cooked and serve with whatever toppings you desire! *Find out more about oats on a gluten free diet. If you can't tolerate oats, substitute the oat flour with buckwheat flour or gluten free plain flour. 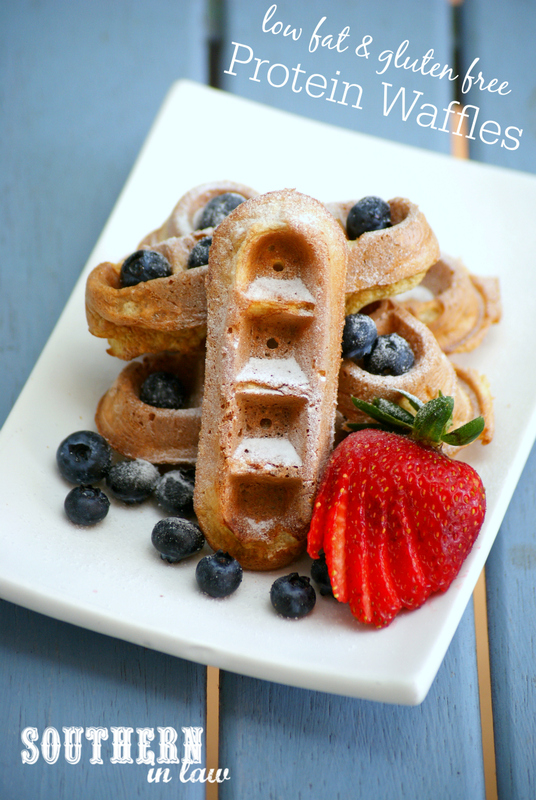 If you don't have a waffle iron, you can make this recipe as pancakes! But tell me, do you have a waffle iron at home? What's your current favourite kitchen gadget?